In case you missed it, a controversial Kettleman Hills hazardous waste facility located in Kettleman City, California was approved for expansion by the California Department of Toxic Substances Control (DTSC) late last month. DTSC granted a 10-year permit to operate and expand the landfill by about 5 million cubic yards. The landfill, owned by Chemical Waste Management Inc., is the only one in California licensed to accept carcinogenic polychlorinated biphenyls, or PCBs. “According to DTSC agency director Debbie Raphael, the approval followed the most comprehensive review of a permit in the department's history, said Debbie Raphael, the agency's director. As for the community's health fears, Raphael said her message to residents is: "You are safe." According to Chairman Raphael, there was a tremendous need for expansion of the facility. Currently 1.7 million tons of hazardous waste is generated within the state each year and 70% of that waste is exported to nearby states with looser standards. The prevailing sentiment is that California needs to clean up its own mess, and reduce shipments of hazardous to neighboring states. 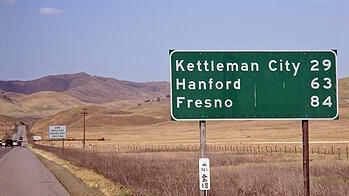 Expansion of the Kettleman City facility is expected to begin after an appeals process on the new permit ends in June. About 10% of the landfill's revenues go into Kings County coffers as a tax. The news was received favorably in the California business community, however as we reported late last year, companies are bracing themselves for a new round of waste minimization standards that are expected to go into effect in the coming years. The state declared its intentions to reduce the amount of hazardous waste generated by half of its current level by 2025. New programs including the California Green Chemistry Initiative are expected to have a major impact on companies doing business in the state. In the meantime companies should evaluate their current operations to ensure compliance with state and federal regulations. Increased inspections, fines and pressure from consumer watchdog groups is intensifying, and companies that are unprepared are finding themselves on the wrong end of bad publicity and financial losses.